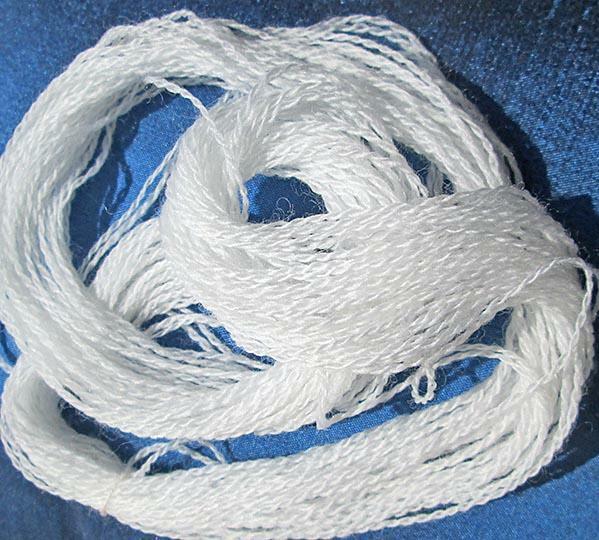 Use this bright white, fine, pure merino wool thread for crewel, applique, embroidery and other hand work projects. 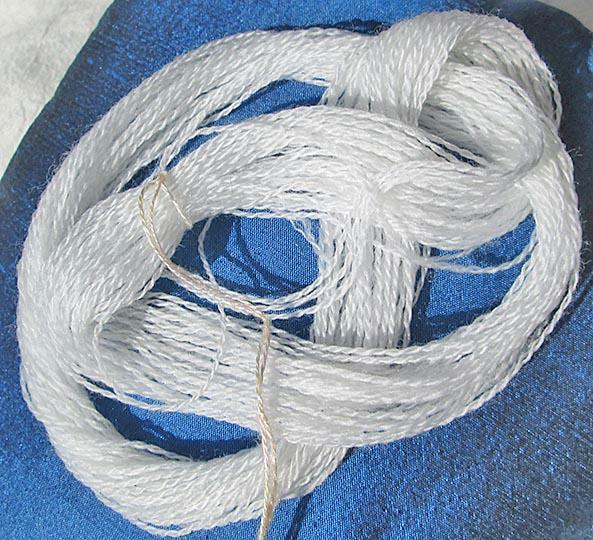 It is a two-ply thread with a thickness comparable to about 3 strands of DMC cotton embroidery floss. 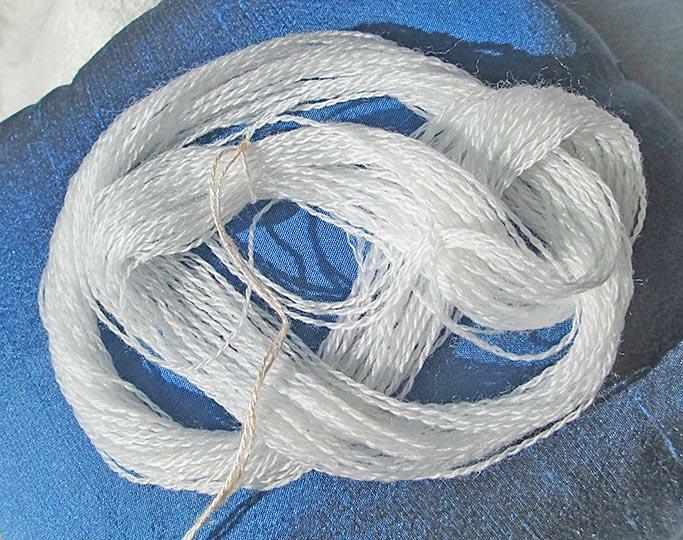 The color is a bright white (or snow white), and you can use the wool thread as is or dye it. The last image shows some of this wool that I hand dyed a minty sage green. This listing is for 20 continuous yards in hank form (not on a paper bobbin), and the yardage you receive won't have any knots in it. If you would like a different quantity, please contact me. I photographed the wool thread in a variety of natural light conditions (all without flash) and against different backgrounds.